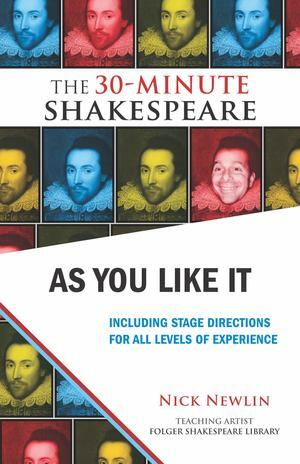 As You Like It: The 30-Minute Shakespeare presents seven captivating scenes from this merry play. Rosalind, disguised as a man ("Ganymede"), "teaches" the art of romantic wooing to Orlando. The cutting includes Jaques' timeless "Seven Ages of Man" speech; Touchstone the Fool's courtship of Audrey; and the hilarious love triangle between Silvius, Phebe, and Rosalind (as Ganymede). The entire cast joins in the delightful song "A Lover and His Lass" to bring a rousing end to this charming comedy. The edition includes helpful advice by Nick Newlin on how to put on a Shakespeare production in a high school class with novice actors, as well as tips for performing the specific play and recommendations for further resources.